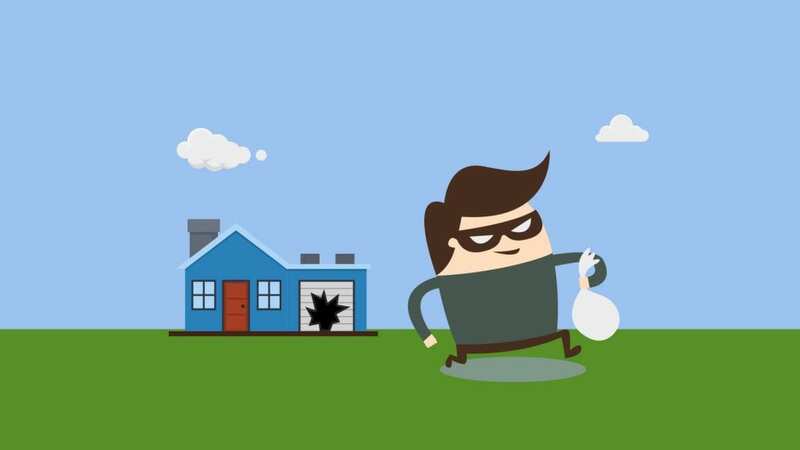 A burglary is every home owner’s nightmare, however the steps taken immediately following a break-in are vital to help put things back in order. We have put together this guide for those who have been burgled, or those who would like to be prepared just in case the worst were to occur. Waste no time in calling the police and putting the incident on record. This is required for insurance claims, helping to find the perpetrators and retrieving your belongings. If you are not inside your home when you discover it has been broken into, we advise you call the police from outside the home, either using a mobile or a neighbours phone. The police will provide you with a unique crime reference number, ensure to note this down as this will be required by your insurance provider. It is vital you do not touch anything before the police arrive, as you many destroy key evidence the police will need for finding, and potentially prosecuting the burglars and retrieving your stolen goods. After the police have arrived make a complete list of all property that has been stolen and damaged, this will be needed by your insurers as well. You will have to include thorough descriptions including anything that could make your items unique, such as marks or serial numbers, and also note the approximate value of each item. It is important to inform your bank or card company straight away and ensure your credit and debit cards are cancelled, and your finances are checked for any suspicious activity. It isn’t necessary for your cards to be stolen; a burglar could simply note down the card number and details to make purchases online. Call your insurance provider within 24 hours and submit all necessary information needed to process your claim. Your insurer will require the list of items stolen or damaged in the incident, and will also need your unique crime reference number. Once the police have instructed it is okay to do so, and all necessary details have been documented, you should start to clear up all indications of a break in, and repair any damaged doors and windows. It is vital to upgrade your security, and to secure any weak points in order to prevent any incidents in the future. Your front door is your first line of defence against a burglary, therefore it is vital to consider the security you have in place; updating the locks on your doors and windows will help reduce the risk of crime. At KeytekTM Locksmiths we aim to ensure all our customers are provided the best possible solutions to their problems, for this reason all of our engineers offer full home security and insurance compliance checks, and ensure to recommend quality products that will meet all your needs. To upgrade your security call a locksmith today on 03303320589 or visit https://www.keytek.co.uk.